At Swan Plumbing, Heating & Air, we are proud of the fact that much of our business comes from repeat customers and referrals from satisfied customers. When a Swan technician arrives at your home, you know that your situation will be handled by a licensed, insured, and industry-certified professional. 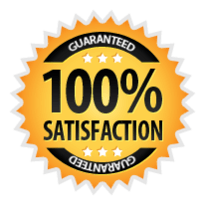 We also offer some of the lowest prices in the area for Bosch water heater service and installation, and we stand behind our work with a 100% customer satisfaction guarantee. We require all of our technicians to have Environmental Protection Agency and North American Technician Excellence industry certifications. We drug test and perform thorough background checks on all of our employees for your peace of mind. We provide upfront estimates for all repairs and installations. electrical or gas pressure issues. Once the technician diagnoses the problem, you will receive a written estimate detailing exactly how much the repair will cost. If your water heater is 10 to 15 years old, it may make more sense to consider a high-quality replacement unit. Or, click here to schedule your Bosch water heater repair service online. Bosch water heaters can run efficiently and reliably for many years when properly maintained. That is why we recommend our Swan Club Membership to our customers. When you sign up for a membership, you will receive discounts on annual tune-ups for your water heater as well as emergency repairs and new installations. Call today or visit our Swan Club page for more information. If you are looking for a service company that believes in straightforward pricing and customer satisfaction to repair or install your Bosch water heater, call Swan Plumbing, Heating & Air today.